I’ve always wanted to make my own homemade bacon. Weird, I know. But it just sounded like fun. Plus, I wanted a homemade product without any nitrites or nitrates. Doing it myself would be like a mad science experiment (the fun part) and I would know exactly what was in it (the important part). Luckily, this week’s podcast guests makes bacon and many, many other smoked products all the time!! So of course, I asked them to tell us how to do it step-by-step. The good news is that it’s pretty easy to do! 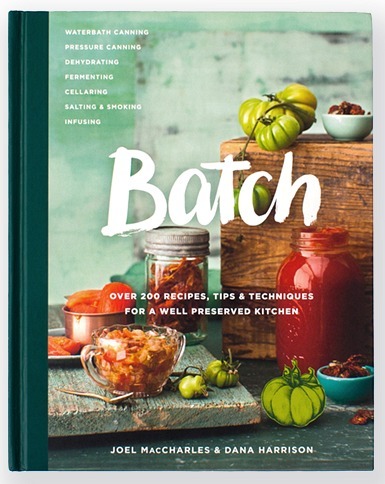 This episode is Part Two of my interview with Joel MacCharles and Dana Harrison – the authors of Batch* – Tips and Techniques for a Well Preserved Kitchen. In Part One, we discussed all the ways you can Preserve Lemons – check it out HERE. In this continuation of the interview, we shifted to other forms of preserving. You can listen above or read the full transcript below to get the full scope of the interview. There’s a lot of info packed into this one! Plus, I give a little primer on nitrites and US bacon labels so you don’t get mislead in the supermarket. What the heck is a smoke maze? 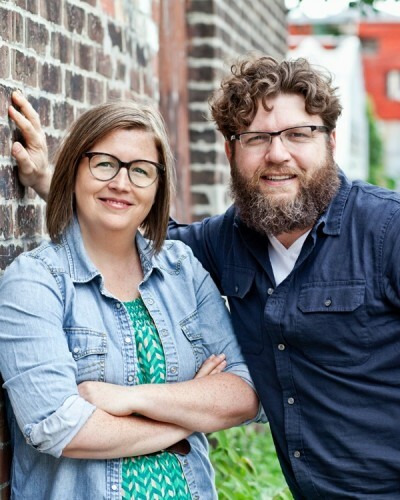 Joel and Dana are the team behind Well Preserved – a popular food blog and they are the authors of the new preserving book, Batch. You can read all about Joel, Dana and their book in the show notes for Part One of this two part interview. In that interview, we dive deep into the making of the book. Joel shares tips and instructions for several different recipes in this episode. You can read the full instructions in the transcript below. 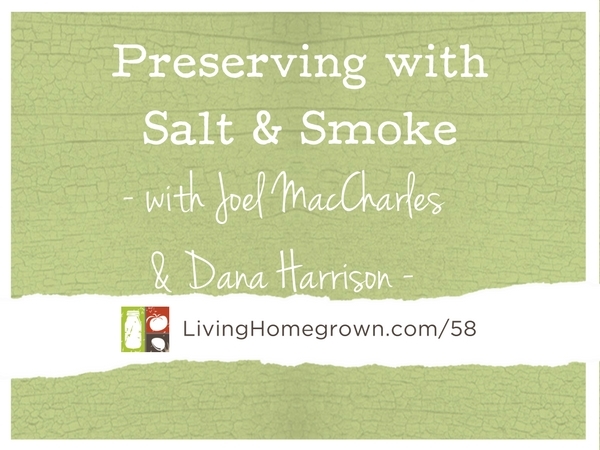 How to Make Smoked Salt – You know you want to try this! Hi Theresa! Thank you so much. This 2 part podcast was fabulous and I really appreciated your explanation on nitrate/nitrite preservatives in bacon. That was so helpful! I may actually try and make my bacon! Awesome awesome! So glad you liked it Dana!